Stanbridge College Spirit Gear Summer Sale 8/14 – 9/13! Don’t let the end of summer cool you down! 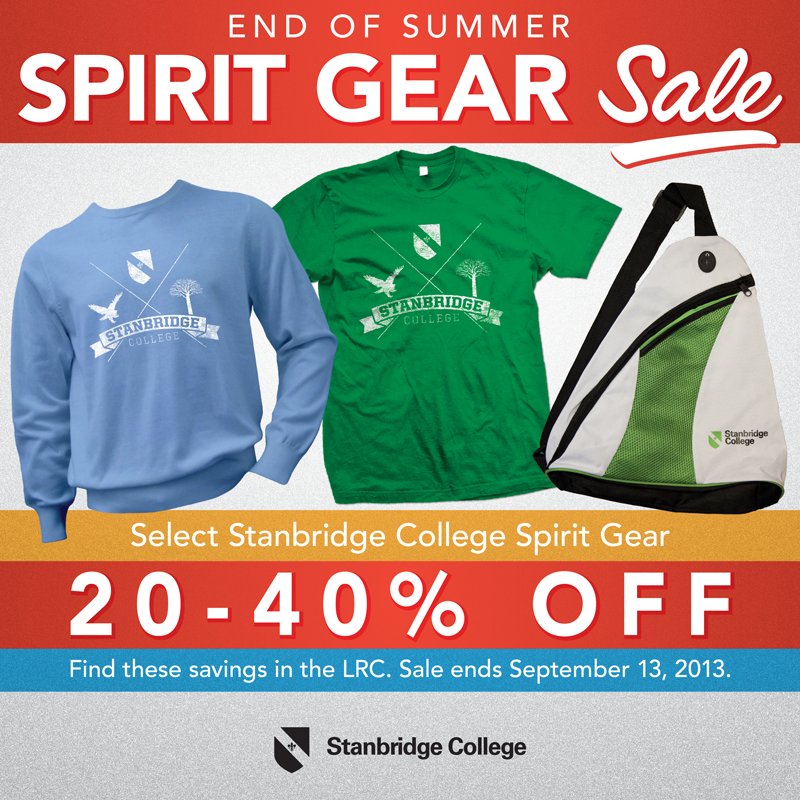 Stanbridge College is having a sizzling hot summer sale for its Spirit Gear with select items up to 40% off! Choose from select Stanbridge T-shirts, sweatshirts, and backpacks to represent your college pride. We don’t know when these items will be on sale again, so stop by the Learning Resource Center to get a great deal on summer and fall Stanbridge gear. The sale ends September 13th and the items are limited, so make sure you secure your summer deal before it’s too late!